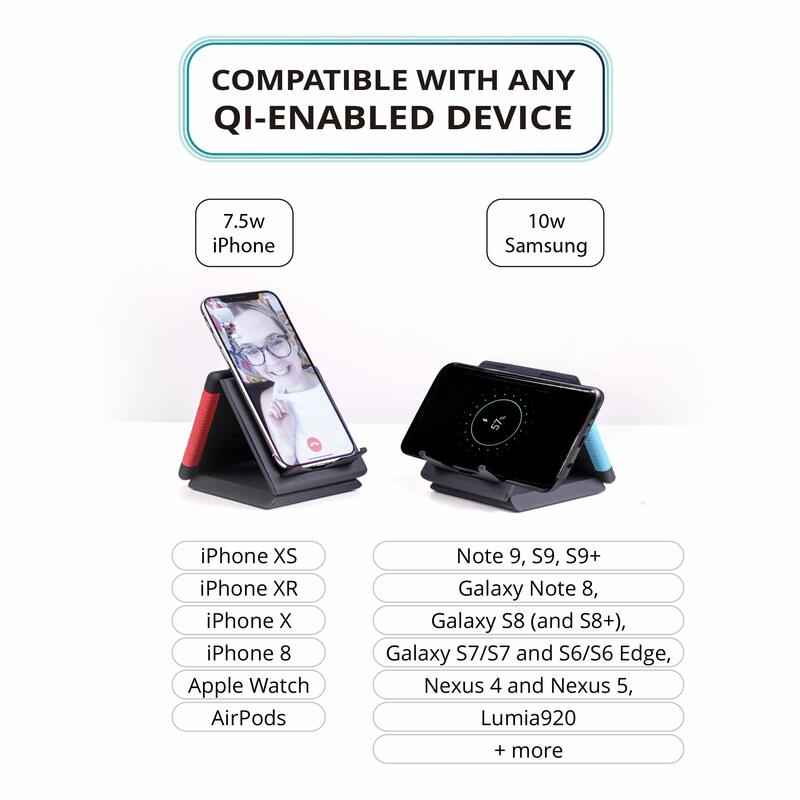 THE PERFECT CHARGER FOR ANY SITUATION - Tired of having to choose between your single charging pad and your clunky multi-device hub? No more! 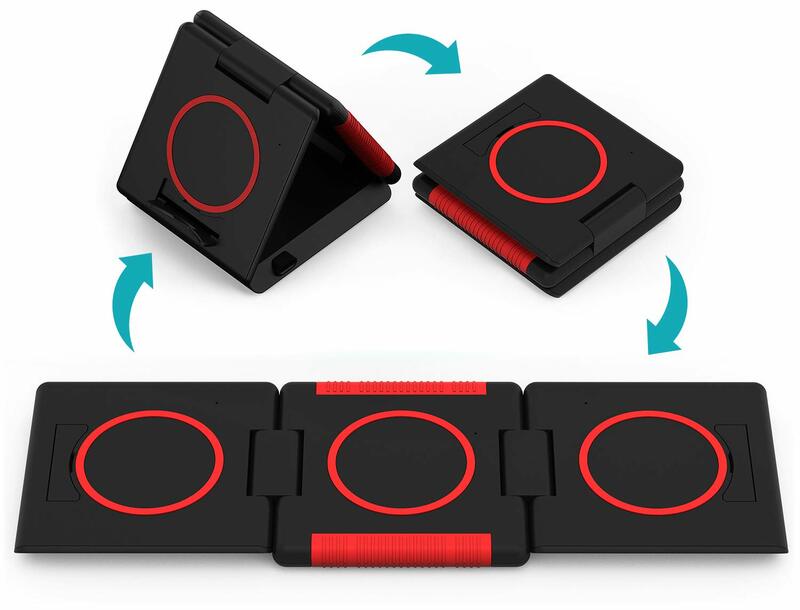 Unravel folds into a space-saving single-device charger and you can also lay it flat to charge three devices at once. That's not all! 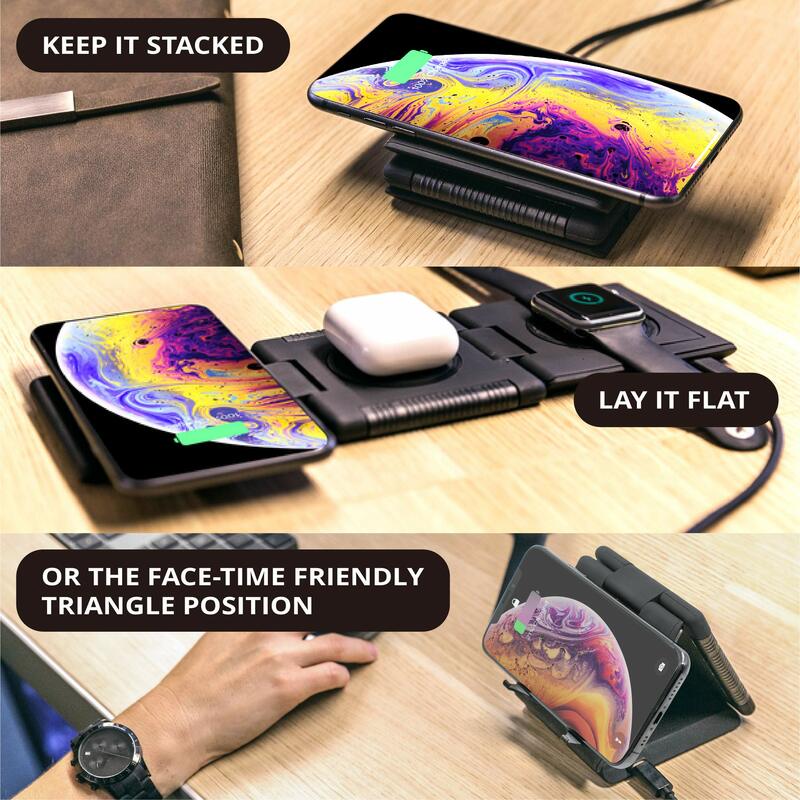 Use the FaceTime-friendly triangle phone stand position to watch videos or FaceTime while charging. With a patent-pending design, Unravel just may be the most versatile wireless charger on earth. FINALLY... A TRAVEL-FRIENDLY THREE-DEVICE WIRELESS CHARGER - Have a tangled mess of wires in your suitcase? 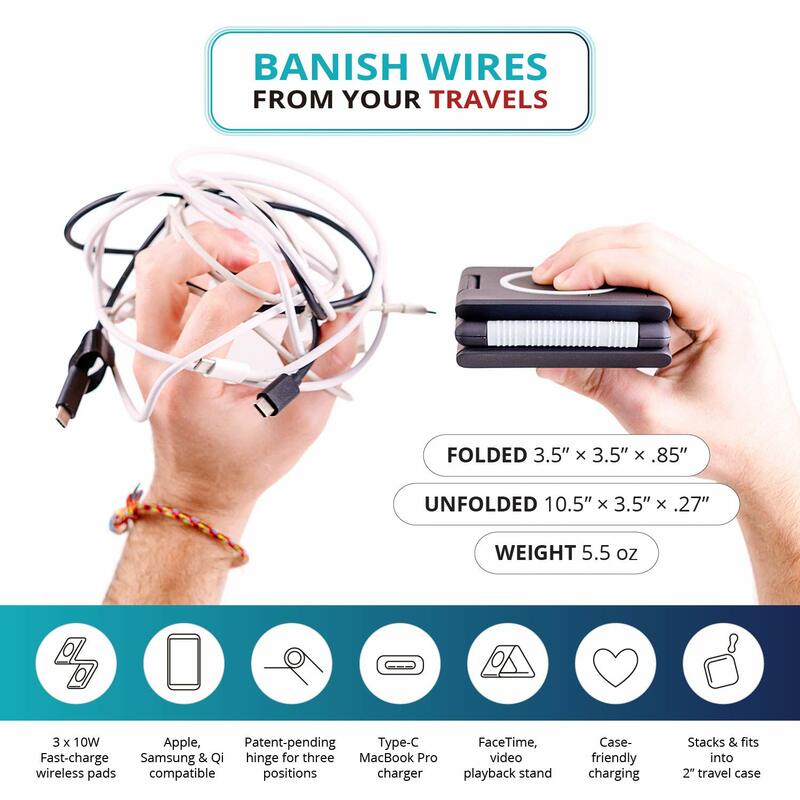 Unravel will banish wires from your travel for good! 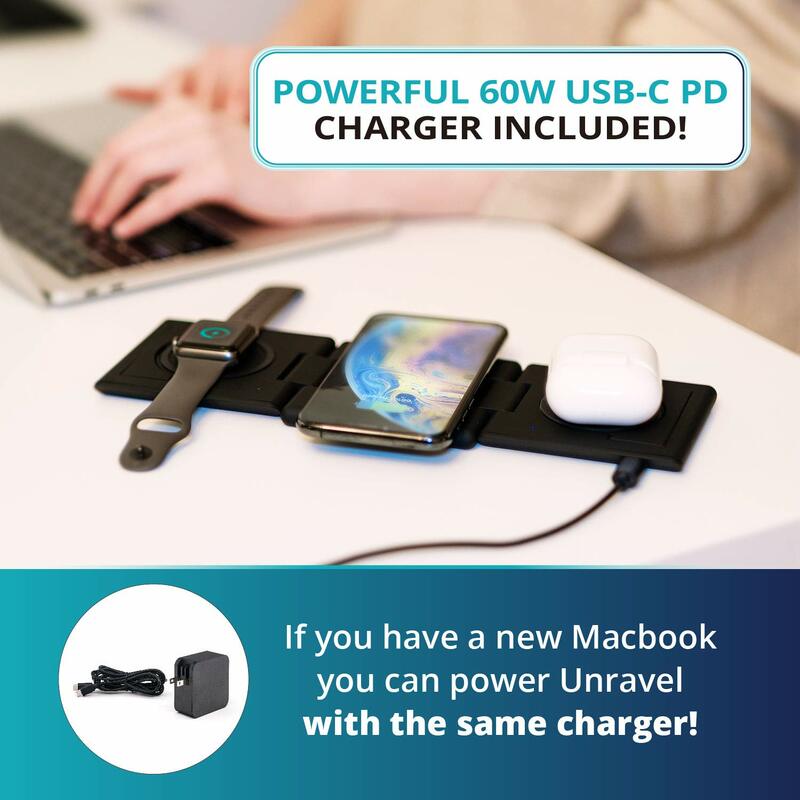 Charge three devices simultaneously with Unravel and its PD adapter. When it's time to move, Unravel also folds neatly into a one-inch wallet-sized stack that fits almost anywhere. Staying fully charged while on road has never been easier! 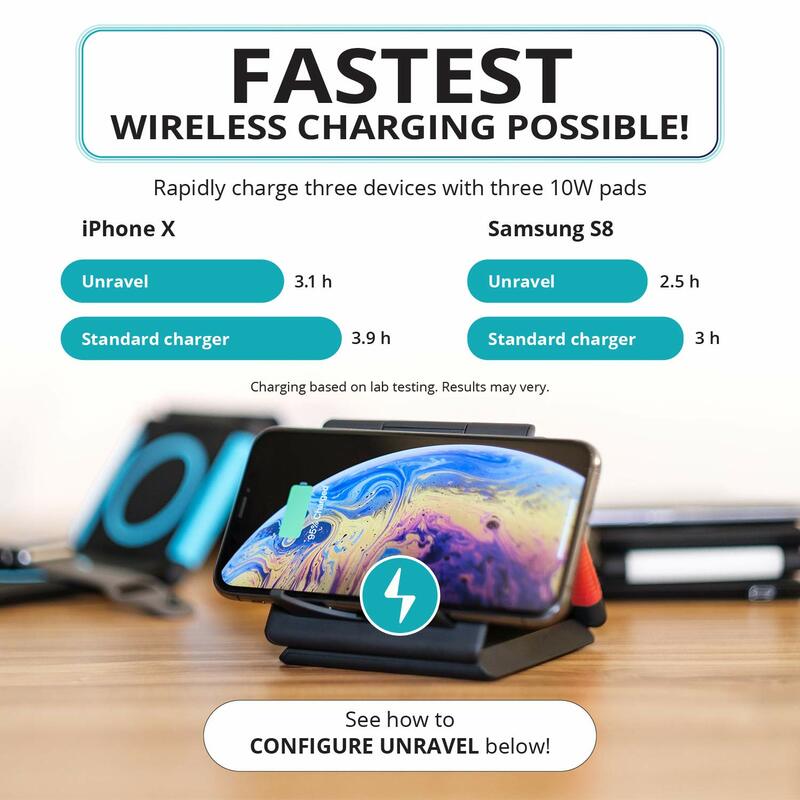 CHARGE FASTER WITH THREE 10W FAST CHARGING PADS - Does your current wireless charger take forever to charge? 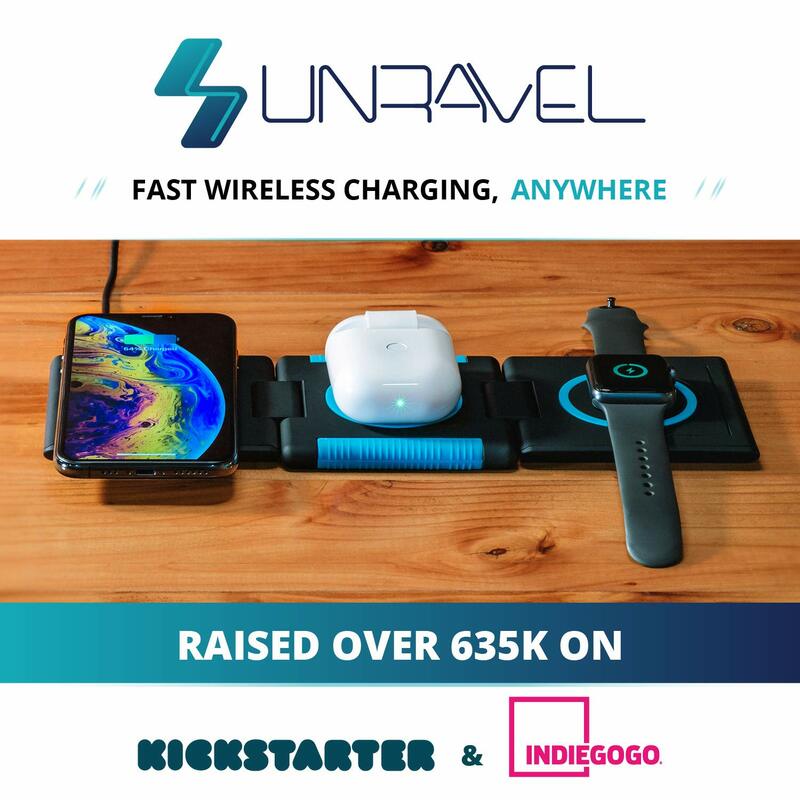 Unravel has three advanced 10W wireless charging coils that leave other chargers in the dust. These panels will automatically charge your device at the fastest possible rate-whether you prefer Apple or Android.